Today is the 21st anniversary of the Whittier (CA) earthquake. I remember the day quite well. 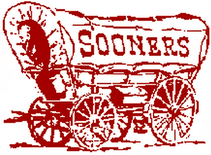 I had moved to Los Angeles after graduating from the University of Oklahoma. I moved there to attend the Church on Brady, under the leadership of Tom Wolf (now Dr. Thom Wolf). My friend, Randy Kluver (now Dr. Randy Kluver) drove out together and even got jobs at the same place (Graybar Electric Co). I remember it being a very nice day. I worked in a big office building as a Manager Trainee. My current position was Customer Service Representative. 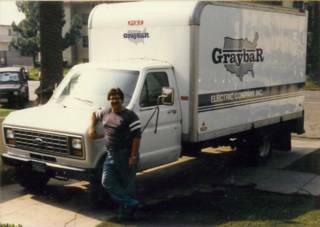 I had already done my time as a company truck driver, warehouseman, sales counter rep., file flunky, and I was at my (possibly) last step on the ladder of success before management. I worked with a bunch of transplanted guys from the Midwest. The Operations Manager was from Nebraska and he trusted the boys from the plains, so many of us got jobs there. The guy who desk was next to mine was from Indiana (I think). I remember getting there that morning and turning over my little daily desk calendar from September 30 to October 1. I commented out loud that I couldn't believe it was already October. Trying to add a bit of salt to the conversation, I went on to say that at that rate, our lives would be over quickly. I was intending to continue in that vein of conversation, hoping to have another opportunity to witness to those around me. I don't remember the exact moment, but I remember a huge rumble and was knocked off my feet to the floor. Our office building was in an industrial area just to the East of downtown LA and I thought our building had been hit by a big truck or something. I had only felt a small tremor before and didn't know it was an earthquake. The electricity went out and people began screaming. I literally dove underneath my desk and "hung on" for what seemed like an eternity, but in truth, was only about 45 seconds. It was a violent back and forth shaking (the earthquake, not me) that was pulling down our lighting fixtures, knocking things off shelves, and making me think I was going to die. During the quake, I still didn't realize it was an earthquake. All I remember was trying to hang on to my desk and praying that God would spare me. It is the most terrified I have ever been, even until this day. After the shaking stopped, we all emerged from underneath our desks. One of the secretaries was too terrified to move, so I sat with her and tried to comfort her. We then thought of "the boys in the warehouse". We were afraid that some of the electrical stock could have fallen and hurt them, so we all ran down to the warehouse. It was a mess, but no one was hurt. After we came back from underneath our desks, I happened to think about our cars. We parked on the roof for security and I could just imagine that the roof could cave in. We all ran to the roof and I very timidly drove my car down the ramp first. All of our electricity was out which meant our phone system was out. No one had cell phones in those days. Several of our reps had special lines that were for special customers that didn't come through our PBX system. I happened to try one of those lines and it was still active. People began to call their families. The one secretary who I helped from the desk was too upset to dial, so I called her family and let her talk with them. I called my mom. She had just seen on the news where LA had been hit by a "bad" earthquake. She was crying and I kept trying to assure her I was OK. This time, however, I didn't do so well. The guy from Indiana had a baseball on his desk that he caught at Dodger Stadium. It rolled off the desk and ended up underneath mine with me. I remember picking up the ball, looking at it, and my fortitude just "giving away". My mind became a bowl of guacamole. I couldn't function anymore. I guess I was in shock. I don't remember much about the rest of the day. I know that the aftershocks continued all week long. People didn't sleep much. At least 3 people were killed. All in all, it wasn't a huge quake, or even a bad quake. It only registered 5.9 on the Ricter scale. But I'll always remember it as the day I thought I was going to die. How were you able to be used by God as a witness in the days after this event? Well, with that kind of trauma on everyone's mind, there was conversation of the Spiritual nature for a long time afterward. I know I shared the Gospel one on one with many of the folks, but I don't recall any commitments being made. A lot of seeds were sown, however!